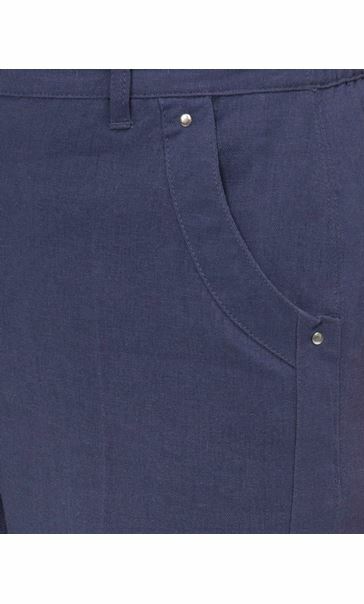 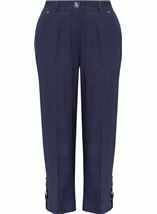 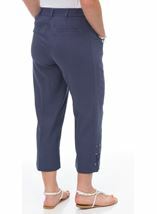 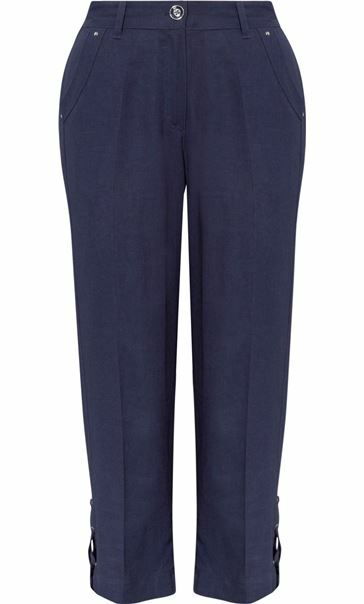 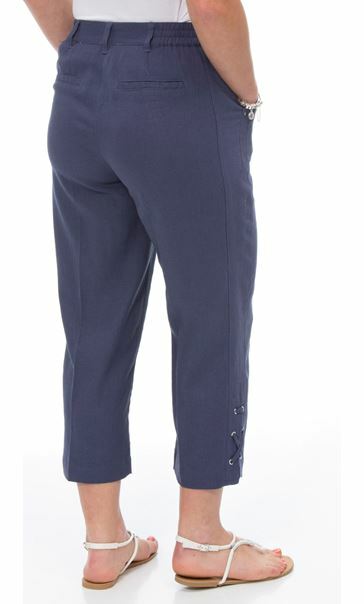 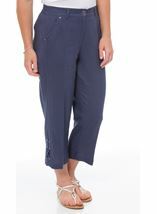 Anna Rose cropped linen blend trousers in a navy hue, perfect for the warmer weather and look great teamed with a t shirt. 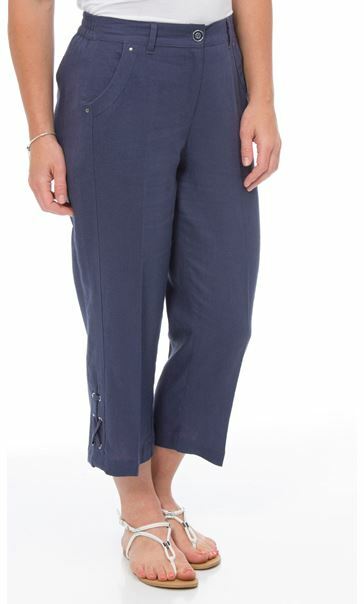 Three quarter length with split and eyelet detailing to the side hemline, zip and button fastening, front and back pockets and part elasticated waist for comfort. 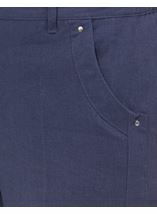 Inside leg 56cms.